Non-designers often misunderstand the design process. Good graphic design involves much more than playing with graphics. A good designer spends time thoroughly planning his or her design before any designing actually occurs. The first step is to determine what you want to achieve. Start by naming your target. Are you selling a service? Are you selling a product or cause? Your answer determines how your design progresses. In order to reach someone, you must effectively communicate your message. Once you know the audience, your design efforts will be easier. You’ll know if it should be tailored to a young hip audience, or perhaps to an older more mature crowd. How will you reach your audience? Do you want a simple brochure? Are you interested in designing a fancy ad to appear in a national glossy magazine? What about a nice website? Each has its own design requirements, and a good designer knows how to implement each one. A brochure designed for an upscale audience will be different than one designed for a middle-class audience. A website geared towards young people will appear vastly different than one aimed at elderly adults. When it comes to graphic design, one size does not fit all. A general budget will keep the design process on track. As you will see below, many different factors determine the final price of a piece. If you set a budget, you can be sure not to spend more money than you can afford. This is an important step often not given enough thought in the design process. If your finished piece will be printed professionally, it pays to use fewer colors. Many printers charge extra for additional colors. In this scenario, a one color document can cost hundreds of dollars less than one with multiple colors. A good designer knows this, and doesn’t go hog wild when it comes to choosing colors. 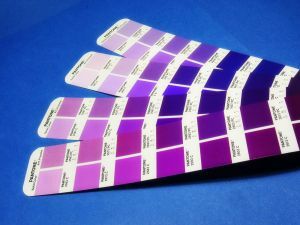 Thanks to some online print businesses, it is possible to receive multi-color printing at an affordable price. However, as with anything, it’s buyer beware. Using an offsite printer means you can’t check your print job before it’s done. There’s a chance you’ll receive a job that’s been printed using incorrect colors, that has pages out of order, or contains printers errors such as smudges. Another minus to using online an online print business is that you can’t always specify print stock. For instance, you may find a nice stock of paper at your local office supply store. You decide the paper would be great for your project. Unless you take the paper to a local printer, or print using your own computer, you won’t be able to use the paper. As you can see, there’s more to good graphic design than just designing. A good graphic designer takes many things into account before starting work. It is time consuming, but a little time spent planning means less time spinning your wheels.